No one prides in shopping for groceries. This is because of the high tendency of forgetting crucial items. 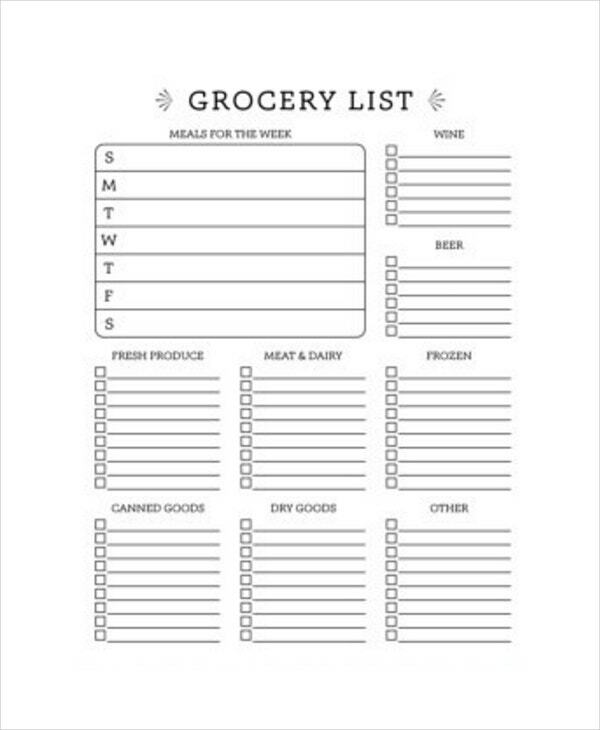 Even so, with Printable Grocery List Templates, your task is simplified. This is because you plan for your groceries prior to leaving for shopping. Interestingly, some grocery checklists online can make your task simpler. They feature different categories of food items and ingredients including snacks and frozen foods that you require to prepare your meals for a given duration. You can save, share, and edit the Grocery Shopping List Template free of cost using Shutterstock Editor. 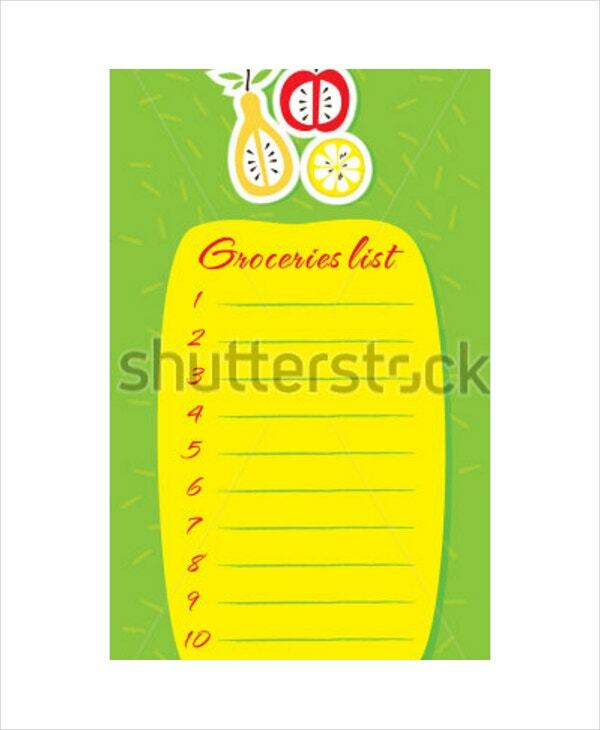 The blank grocery list template features vector illustration on a green background at a high resolution. 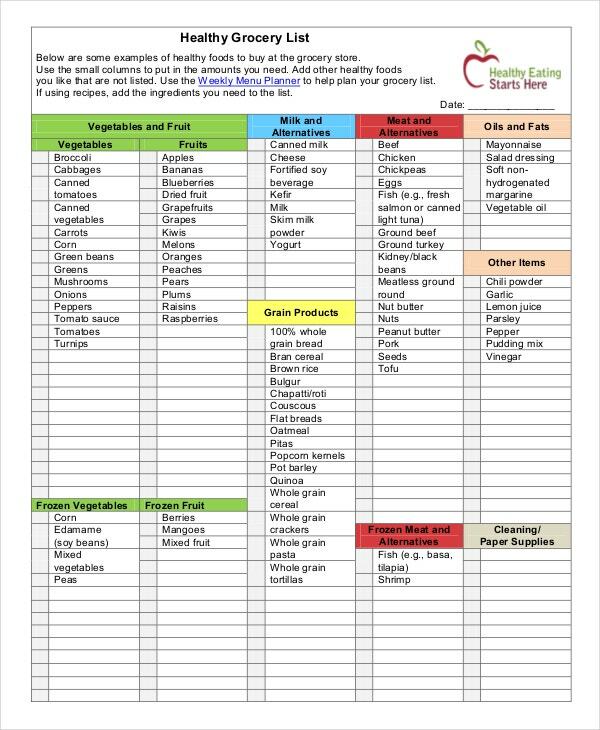 Download the Healthy Grocery Checklist Template in its PDF format containing healthy foods. 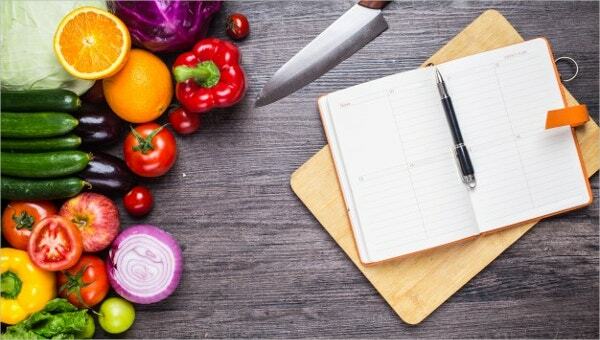 You can add healthy foods that do not appear on the weekly menu planner alongside their desired quantities. 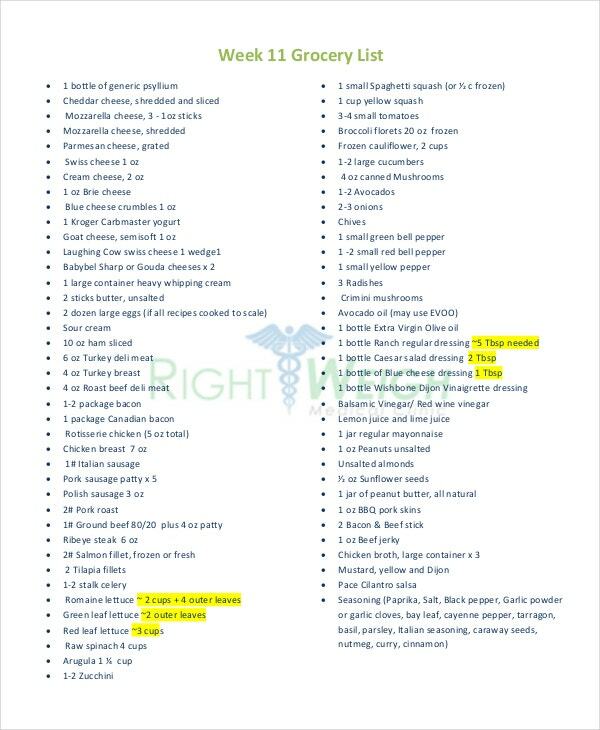 The Thanksgiving Grocery Checklist Template contains ingredients that you require when planning for parties. It features desserts, dairy, farm produce, meat, grocery, beverages, and supplies. You should add their desired quantities and respective prices. Instantly download the Pre-trip Grocery List after its purchase. 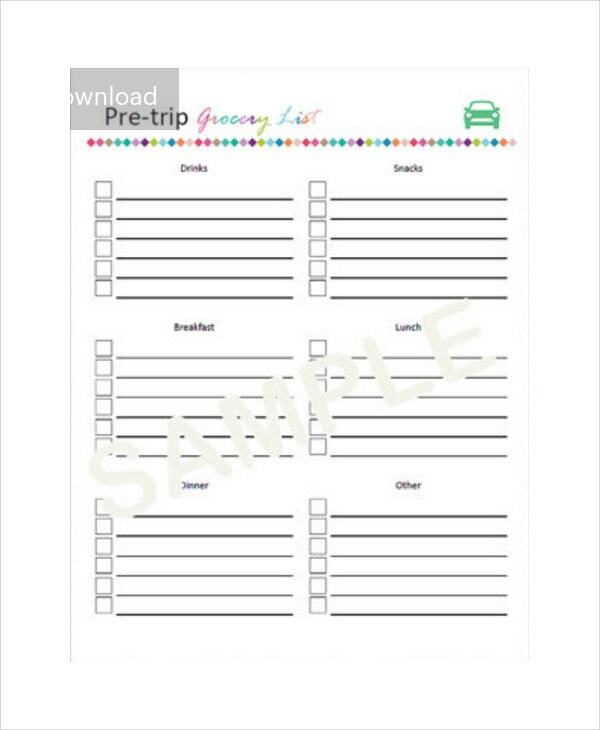 The editable and printable blank Grocery List Template for individual use aids travelers to plan their snacks and meals during vacations and trips. 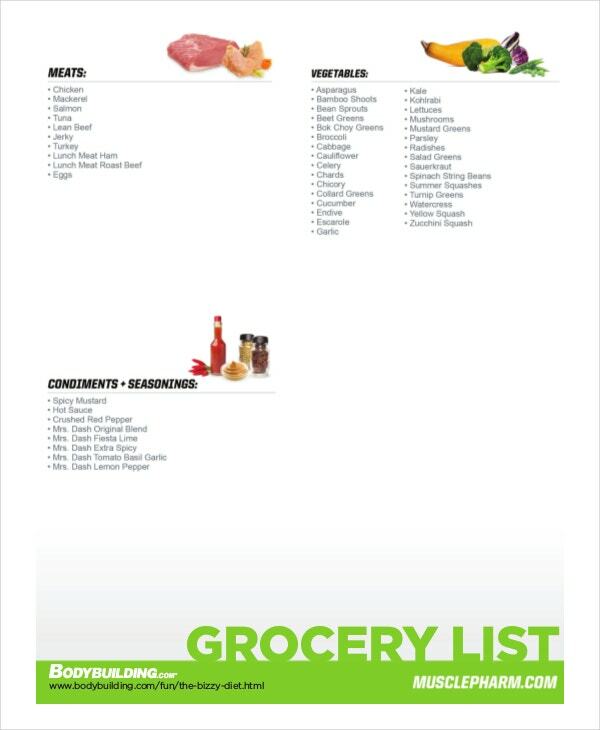 The Diet Grocery Checklist Template for bodybuilders contains room for meats, vegetables, condiments, and seasonings. It also contains attractive images for the same to aid your 22-day fitness-dieting program. 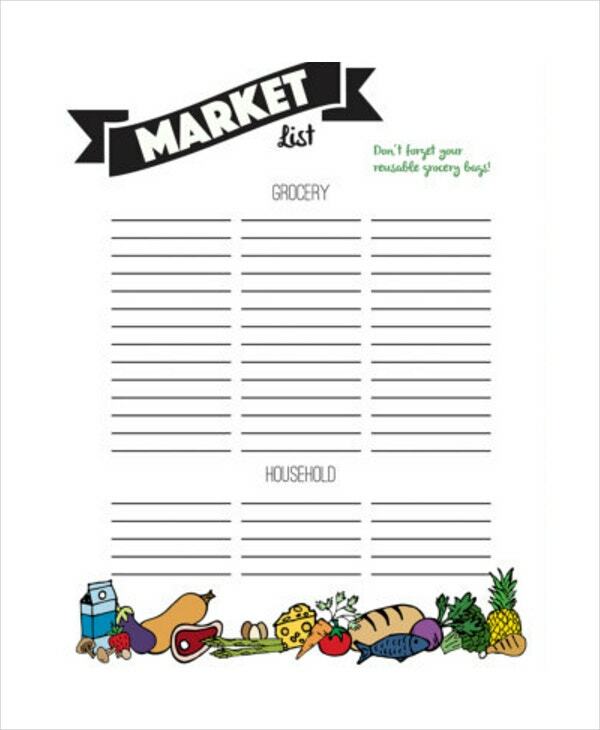 Purchase, download, edit, and print the Daily blank Grocery List Template on any color paper. The high-resolution PDF file for personal use features compatibility with Acrobat Reader. It measures 8.5 x 11 inches. You can also see Daily Checklist Templates. 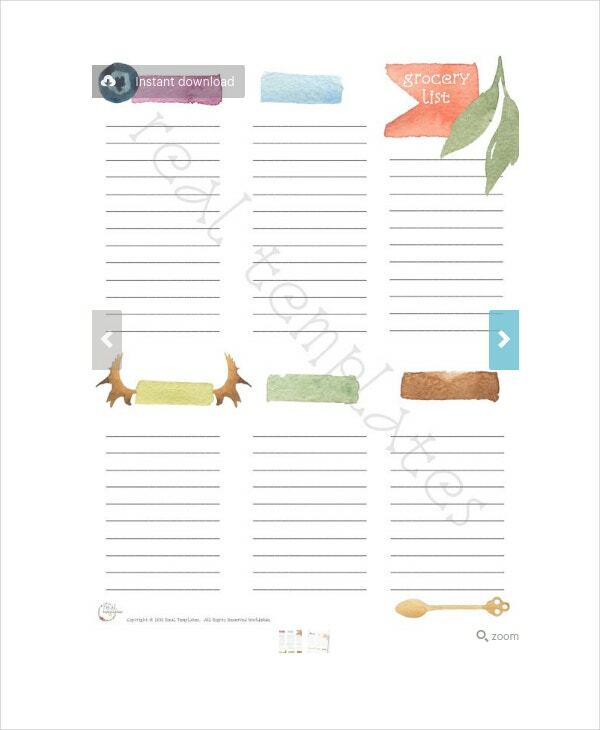 Download and edit the handmade Printable Grocery List Template. You can add your groceries alongside household items. After download, you can access the PDF, JPG, and JPEG digital files of size 8.5 X 11 inches. 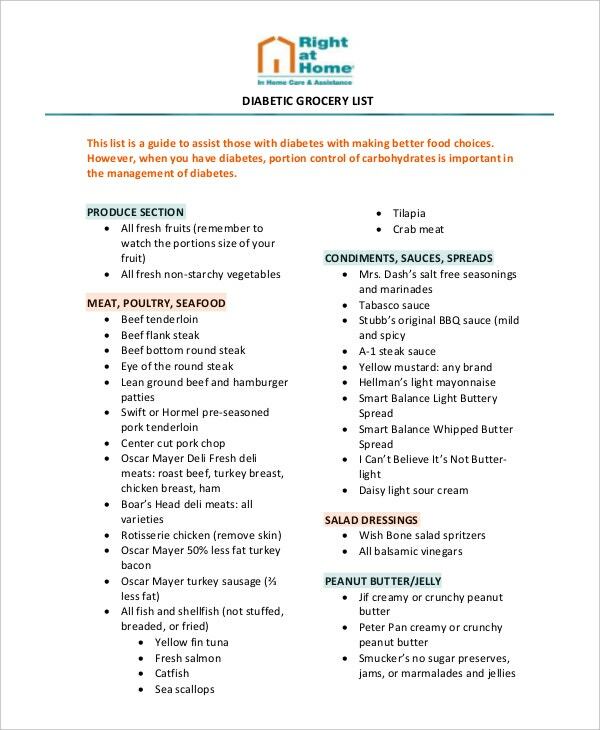 The Diabetic Grocery Checklist Template facilitates selection of better foods for diabetic patients. It entails produce segments, spreads & sauces, meat, poultry& seafood, salad dressings, peanut jelly, cereals, soups, canned foods, ice creams, dairy, baking items, and snacks. You can also see Checklist Templates. The Blank Grocery List Template for download is not editable. You can buy and access it for printing in PDF format. This handmade template features watermark and beautiful but lightly colored title spaces. 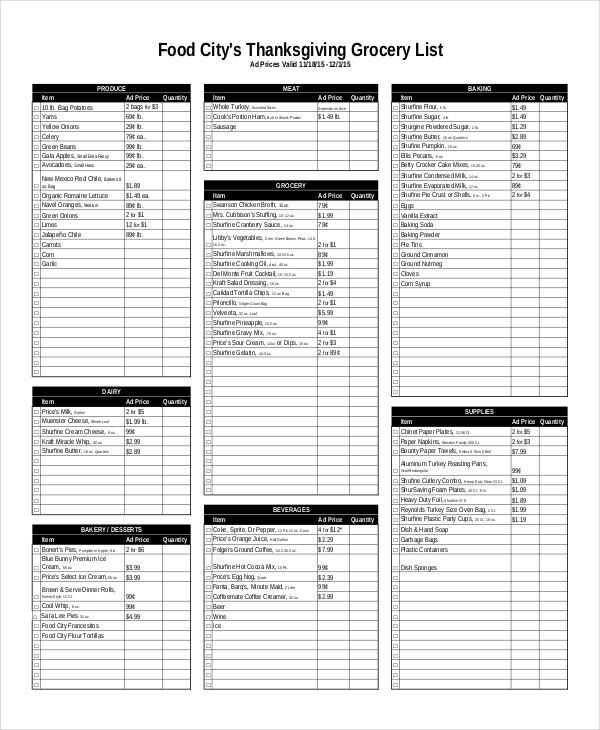 The minimal Master Grocery Checklist Template for download is available in PDF format. 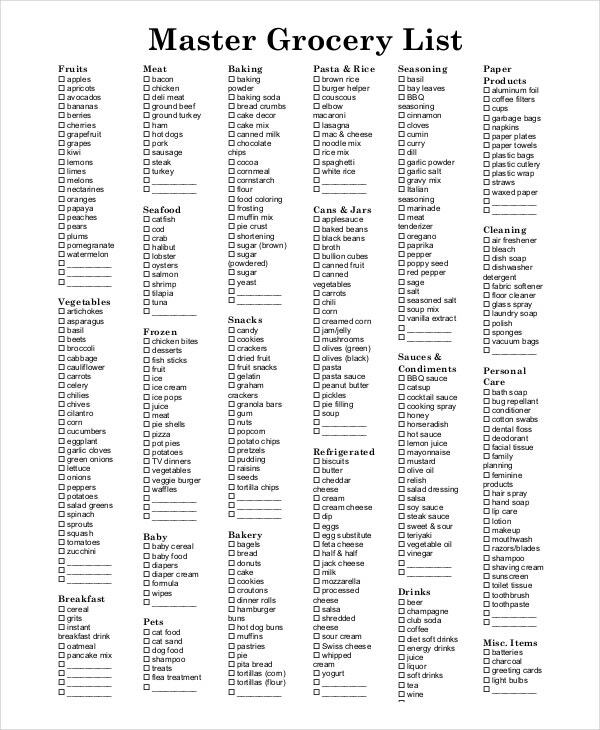 The printable file features options for fruits, meats, pasta and rice, seasonings, frozen, snacks, baby food, sauces, cans, seafood, drinks, personal care and cleaning, refrigerated, and miscellaneous items. 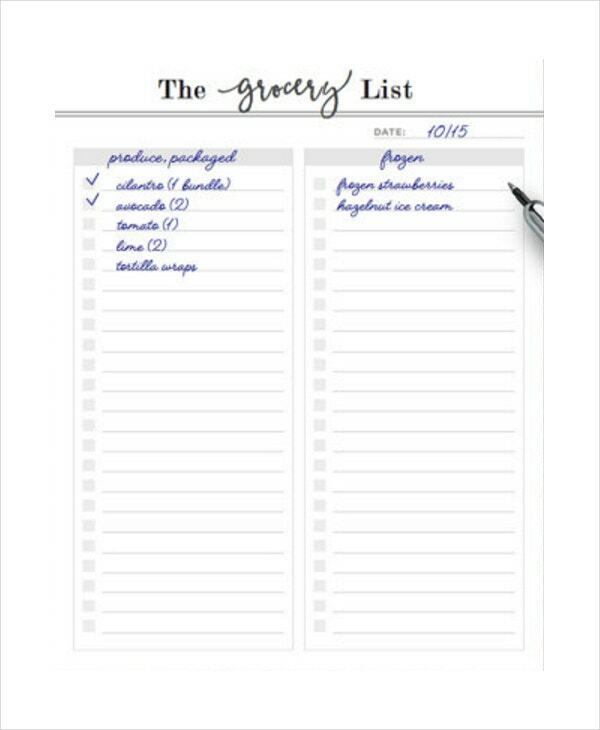 The downloadable Grocery List Planner is available in digital format. It is printable on A-5, A-4, and US letter sizes. The 3-PDF files for restricted use are ideal for meal, menu, and shopping plans. 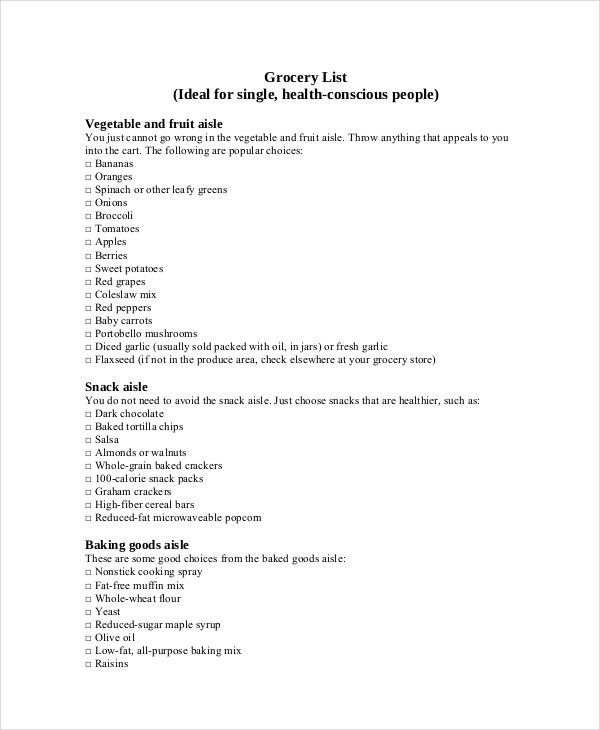 The Basic Grocery Checklist Template suits health-conscious singles. It features fruits and vegetable aisle, snacks, baking goods, beverages, canned items, grains, dairy case, meats, frozen foods, and condiments. In conclusion, you should attempt utilizing grocery checklists in order to appreciate their worth. Some of them suit patients nursing different conditions such as diabetes that demand restricted dieting. You can also use them when dieting to keep yourself fit. Interestingly, these templates are affordable and vary in complexity and style. You can also see List Templates.